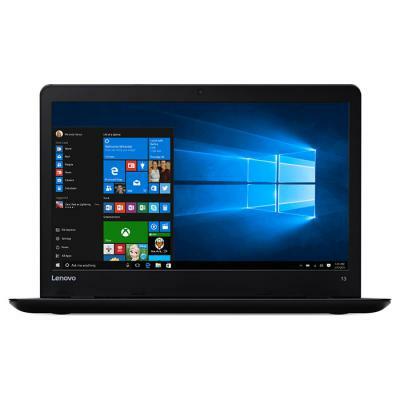 20ETS02W00 Ноутбук Lenovo ThinkPad E460 (20ETS02W00) 14', FullHD (1920 х 1080), IPS, Intel Core i5 6200U (2.3 ГГц), 8 ГБ, 1 ТБ, AMD Radeon R5 M330, 2 ГБ, No ODD, Bluetooth, Wi-Fi, Gigabit Ethernet, DOS, 6 cell, 1.75 кг, Black 12 мес. 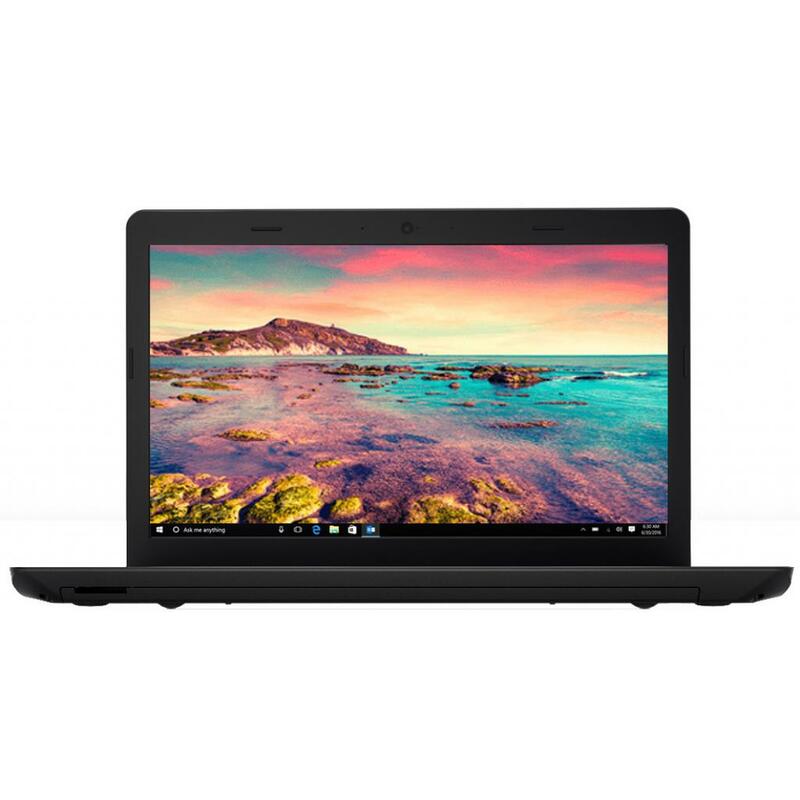 20ETS03R00 Ноутбук Lenovo ThinkPad E460 (20ETS03R00) 14', FullHD (1920 х 1080), IPS, Intel Core i5 6200U (2.3 ГГц), 8 ГБ, отсутствует, 256 ГБ, Intel HD Graphics 520, No ODD, Bluetooth, Wi-Fi, Gigabit Ethernet, W7Pro/W10P, 6 cell, 1.9 кг, Black 12 мес. 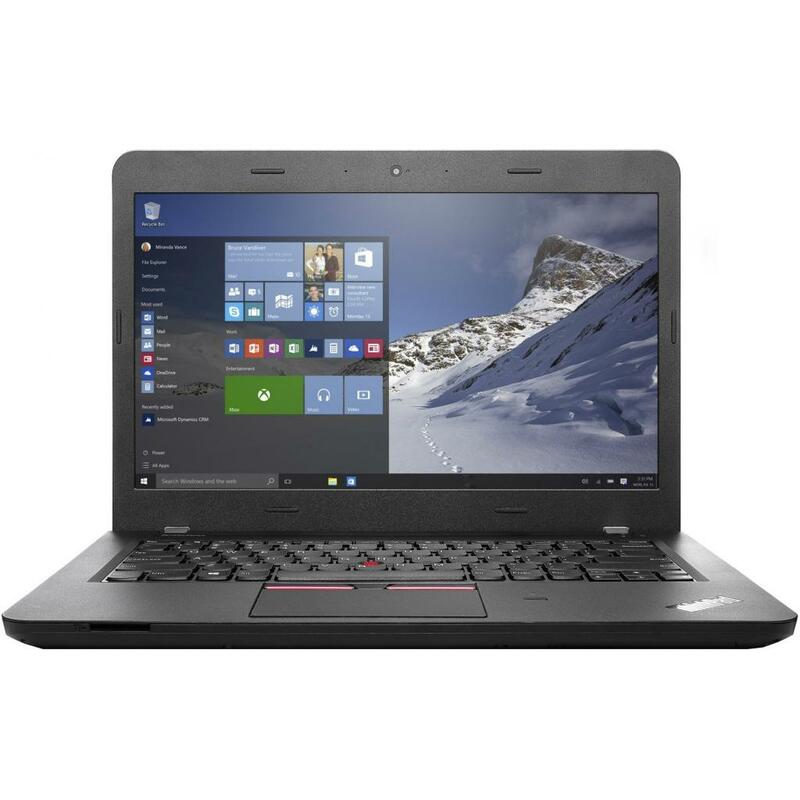 20EVS03M00 Ноутбук Lenovo ThinkPad E560 (20EVS03M00) 15.6', HD (1366 х 768), TN+film, Intel Core i5 6200U (2.3 ГГц), 4 ГБ, 500 ГБ, AMD Radeon R7 M370, 2 ГБ, DVD±RW, Bluetooth, Wi-Fi, Gigabit Ethernet, DOS, 6 cell, 2.3 кг, Black 12 мес. 20EVS03P00 Ноутбук Lenovo ThinkPad E560 (20EVS03P00) 15.6', FullHD (1920 х 1080), IPS, Intel Core i5 6200U (2.3 ГГц), 4 ГБ, 500 ГБ, Intel HD Graphics 520, DVD±RW, Bluetooth, Wi-Fi, Gigabit Ethernet, DOS, 6 cell, 2.45 кг, Black 12 мес. 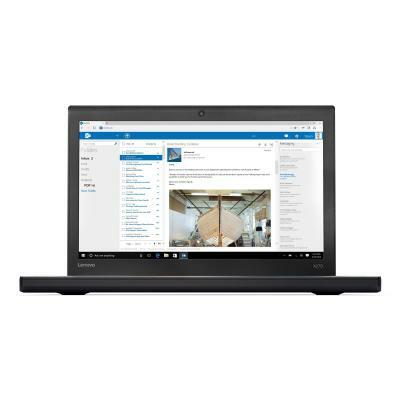 20EVS03R00 Ноутбук Lenovo ThinkPad E560 (20EVS03R00) 15.6', FullHD (1920 х 1080), IPS, Intel Core i5 6200U (2.3 ГГц), 8 ГБ, 1 ТБ, AMD Radeon R7 370, 2 ГБ, DVD-SMulti, Bluetooth, Wi-Fi, Gigabit Ethernet, DOS, 6 cell, 2.45 кг, Black 12 мес. 20EVS03W00 Ноутбук Lenovo ThinkPad E560 (20EVS03W00) 15.6', FullHD (1920 х 1080), IPS, Intel Core i5 6200U (2.3 ГГц), 16 ГБ, 1 ТБ, AMD Radeon R7 370, 2 ГБ, DVD-SMulti, Bluetooth, Wi-Fi, Gigabit Ethernet, DOS, 6 cell, 2.45 кг, Black 12 мес. 20EVS05D00 Ноутбук Lenovo ThinkPad E560 (20EVS05D00) 15.6', FullHD (1920 х 1080), IPS, Intel Core i5 6200U (2.3 ГГц), 4 ГБ, 500 ГБ, Intel HD Graphics 520, DVD-SMulti, Bluetooth, Wi-Fi, Gigabit Ethernet, W7Pro/W10P, 6 cell, 2.45 кг, Black 12 мес. 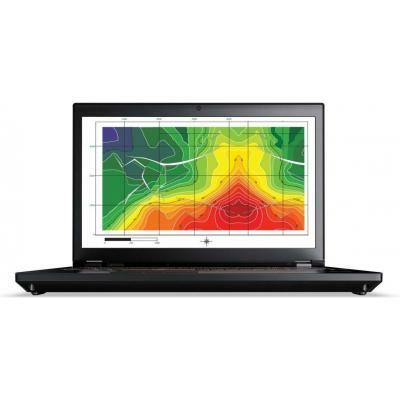 20F2S20N00 Ноутбук Lenovo ThinkPad L560 (20F2S20N00) 15.6', FullHD (1920 х 1080), IPS, Intel Core i3 6100U (2.3 ГГц), 8 ГБ, отсутствует, 256 ГБ, Intel HD Graphics 520, DVD±RW, Bluetooth, Wi-Fi, Gigabit Ethernet, Windows 10 Pro, 6 cell, 2.4 кг, Black 12 мес. 20F2S38300 Ноутбук Lenovo ThinkPad L560 (20F2S38300) 15.6', FullHD (1920 х 1080), IPS, Intel Core i3 6100U (2.3 ГГц), 8 ГБ, 1 ТБ, Intel HD Graphics 520, No ODD, Bluetooth, Wi-Fi, Gigabit Ethernet, Windows 10 Pro, 6 cell, 2.3 кг, Black 12 мес. 20F6S04Y00 Ноутбук Lenovo ThinkPad X260 (20F6S04Y00) 12.5', FullHD (1920 х 1080), IPS, Intel Core i7 6500U (2.5 - 3.1 ГГц), 16 ГБ, отсутствует, 512 ГБ, Intel HD Graphics 520, No ODD, Bluetooth, Wi-Fi, Gigabit Ethernet, W7Pro/W10P, 3 cell, 1.4 кг, Black 12 мес. 20FBS0U300 Ноутбук Lenovo ThinkPad X1 (20FBS0U300) 14', WQHD (2560x1440), IPS, Intel Core i7 6500U (2.5 - 3.1 ГГц), 8 ГБ, отсутствует, 256 ГБ, Intel HD Graphics 520, No ODD, Bluetooth, Wi-Fi, Gigabit Ethernet, Windows 10 Pro 64bit, 4 cell, 1.2 кг, Black 12 мес. 20FJS4WX00 Ноутбук Lenovo ThinkPad T560 (20FJS4WX00) 15.6', Intel Core i5 6200U (2.3 ГГц), 8 ГБ, отсутствует, 512 ГБ, Intel HD Graphics 520, No ODD, Bluetooth, Wi-Fi, LAN (RJ-45), Windows 10 Pro, 3 cell, 2.2 кг, Black 12 мес. 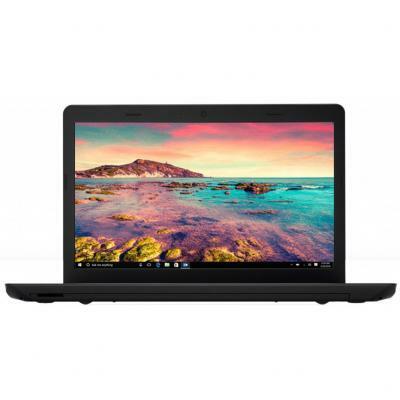 20FNS03N00 Ноутбук Lenovo ThinkPad T460 (20FNS03N00) 14', HD (1366 х 768), TN+film, Intel Core i3 6100U (2.3 ГГц), 4 ГБ, отсутствует, 192 ГБ, Intel HD Graphics 520, No ODD, Bluetooth, Wi-Fi, Gigabit Ethernet, DOS, 3 cell, 1.7 кг, Black 12 мес. 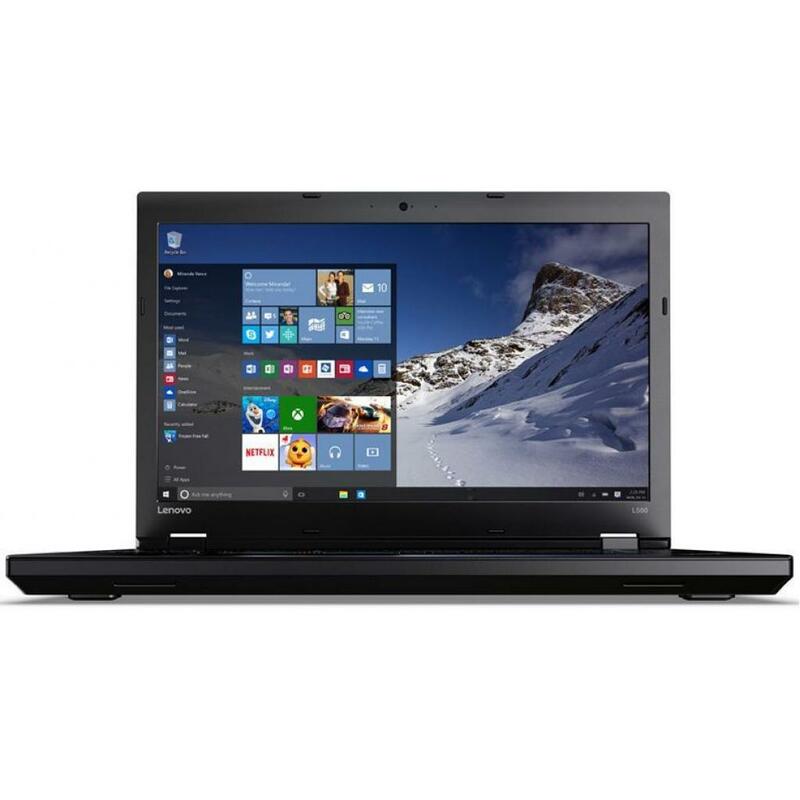 20FNS03P00 Ноутбук Lenovo ThinkPad T460 (20FNS03P00) 14', HD (1366 х 768), TN+film, Intel Core i3 6100U (2.3 ГГц), 4 ГБ, 500 ГБ, Intel HD Graphics 520, No ODD, Bluetooth, Wi-Fi, Gigabit Ethernet, W7Pro/W10P, 3 cell, 1.7 кг, Black 12 мес. 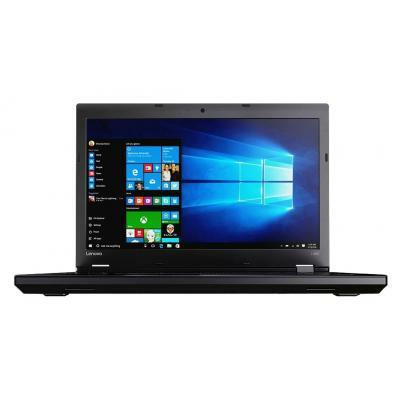 20FNS03Q00 Ноутбук Lenovo ThinkPad T460 (20FNS03Q00) 14', HD (1366 х 768), TN+film, Intel Core i5 6200U (2.3 ГГц), 8 ГБ, 500 ГБ, Intel HD Graphics 520, No ODD, Bluetooth, Wi-Fi, Gigabit Ethernet, DOS, 3 cell, 1.7 кг, Black 12 мес. 20FQS0HA00 Ноутбук Lenovo ThinkPad Yoga X1 (20FQS0HA00) 14', WQHD (2560x1440), IPS, Intel Core i7-6600U (2.4GHz), 16 ГБ, отсутствует, 512 ГБ, Intel HD Graphics 520, No ODD, 4G LTE, Bluetooth, Wi-Fi, Gigabit Ethernet, Windows 10 Pro 64bit, 4 cell, 1.36 кг, 12 мес. 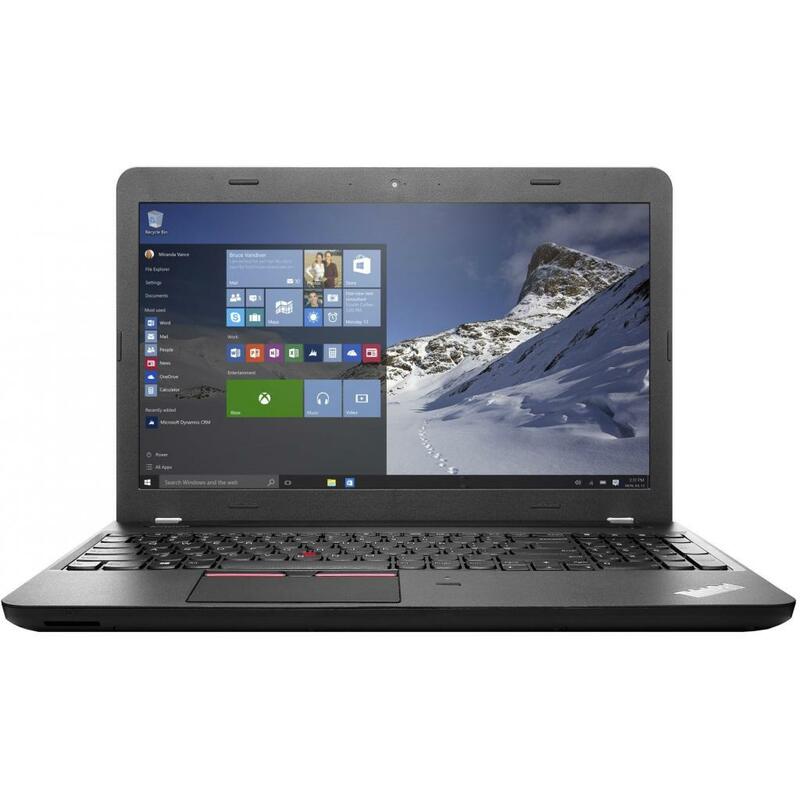 20FVS3S000 Ноутбук Lenovo ThinkPad L460 (20FVS3S000) 14', HD (1366 х 768), Intel Core i5 6200U (2.3 ГГц), 8 ГБ, 500 ГБ, Intel HD Graphics 520, No ODD, Bluetooth, Wi-Fi, Gigabit Ethernet, Windows 10 Pro, 6 cell, 1.9 кг, Black 12 мес. 20FVS3S100 Ноутбук Lenovo ThinkPad L460 (20FVS3S100) 14', HD (1366 х 768), Intel Core i5 6200U (2.3 ГГц), 16 ГБ, отсутствует, 512 ГБ, Intel HD Graphics 520, No ODD, Bluetooth, Wi-Fi, Gigabit Ethernet, Windows 10 Pro, 6 cell, 1.9 кг, Black 12 мес. 20H1006JRT Ноутбук Lenovo ThinkPad E470 (20H1006JRT) 14', FullHD (1920 х 1080), TN+film, Intel Core i7-7500U (2.7-3.5GHz), 8 ГБ, отсутствует, 256 ГБ, NVIDIA GeForce GT 940MX, 2 ГБ, No ODD, Bluetooth, Wi-Fi, Gigabit Ethernet, Windows 10 Pro, 3 cell, 1.86 к 12 мес. 20H1006KRT Ноутбук Lenovo ThinkPad E470 (20H1006KRT) 14', FullHD (1920 х 1080), Intel Core i5 7200U (2.5-3.1 ГГц), 8 ГБ, отсутствует, 256 ГБ, Intel HD Graphics 620, No ODD, Bluetooth, Wi-Fi, Gigabit Ethernet, Windows 10 Pro 64bit, 3 cell, 1.86 кг, Black 12 мес. 20H1006MRT Ноутбук Lenovo ThinkPad E470 (20H1006MRT) 14', FullHD (1920 х 1080), Intel Core i5 7200U (2.5-3.1 ГГц), 8 ГБ, отсутствует, 256 ГБ, Intel HD Graphics 620, No ODD, Bluetooth, Wi-Fi, Gigabit Ethernet, DOS, 6 cell, 1.86 кг, Black 12 мес. 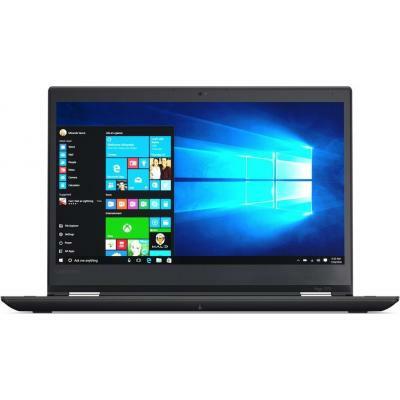 20H1006YRT Ноутбук Lenovo ThinkPad E470 (20H1006YRT) 14', FullHD (1920 х 1080), Intel Core i5 7200U (2.5-3.1 ГГц), 16 ГБ, отсутствует, 256 ГБ, NVIDIA GeForce GT 940MX, 2 ГБ, No ODD, Bluetooth, Wi-Fi, LAN (RJ-45), DOS, 6 cell, 1.86 кг, Black 12 мес. 20H1S00300 Ноутбук Lenovo ThinkPad E470 (20H1S00300) 14', FullHD (1920 х 1080), IPS, Intel Core i5 7200U (2.5-3.1 ГГц), 8 ГБ, 1 ТБ, Intel HD Graphics 620, No ODD, Bluetooth, Wi-Fi, LAN (RJ-45), Windows 10 Pro, 6 cell, 1.9 кг, Black 12 мес. 20H1S00400 Ноутбук Lenovo ThinkPad E470 (20H1S00400) 14', FullHD (1920 х 1080), IPS, Intel Core i5 7200U (2.5-3.1 ГГц), 8 ГБ, отсутствует, 256 ГБ, Intel HD Graphics 620, No ODD, Bluetooth, Wi-Fi, Gigabit Ethernet, DOS, 3 cell, 1.86 кг, Black 12 мес. 20H1S00500 Ноутбук Lenovo ThinkPad E470 (20H1S00500) 14', HD (1366 х 768), Intel Core i3 7100U (2.4 ГГц), 4 ГБ, 500 ГБ, Intel HD Graphics 620, No ODD, Bluetooth, Wi-Fi, LAN (RJ-45), DOS, 6 cell, 1.9 кг, Black 12 мес. 20H1S00600 Ноутбук Lenovo ThinkPad E470 (20H1S00600) 14', FullHD (1920 х 1080), IPS, Intel Core i3 7100U (2.4 ГГц), 8 ГБ, отсутствует, 256 ГБ, Intel HD Graphics 620, No ODD, Bluetooth, Wi-Fi, LAN (RJ-45), DOS, 6 cell, 1.9 кг, Black 12 мес. 20H1S00800 Ноутбук Lenovo ThinkPad E470 (20H1S00800) 14', FullHD (1920 х 1080), IPS, Intel Core i7-7500U (2.7-3.5GHz), 16 ГБ, отсутствует, 256 ГБ, NVIDIA GeForce GT 940MX, 2 ГБ, No ODD, Bluetooth, Wi-Fi, Gigabit Ethernet, DOS, 3 cell, 1.86 кг, Black 12 мес. 20H1S00A00 Ноутбук Lenovo ThinkPad E470 (20H1S00A00) 14', FullHD (1920 х 1080), IPS, Intel Core i5 7200U (2.5-3.1 ГГц), 16 ГБ, отсутствует, 256 ГБ, NVIDIA GeForce GT 940MX, 2 ГБ, No ODD, Bluetooth, Wi-Fi, Gigabit Ethernet, DOS, 3 cell, 1.86 кг, Black 12 мес. 20H1S00B00 Ноутбук Lenovo ThinkPad E470 (20H1S00B00) 14', FullHD (1920 х 1080), IPS, Intel Core i5 7200U (2.5-3.1 ГГц), 16 ГБ, отсутствует, 256 ГБ, Intel HD Graphics 620, No ODD, Bluetooth, Wi-Fi, LAN (RJ-45), DOS, 6 cell, 1.9 кг, Black 12 мес. 20H500B4RT Ноутбук Lenovo ThinkPad E570 (20H500B4RT) 15.6', FullHD (1920 х 1080), Intel Core i7-7500U (2.7-3.5GHz), 8 ГБ, отсутствует, 256 ГБ, NVIDIA GeForce GTX 950M, 2 ГБ, DVD±RW, Bluetooth, Wi-Fi, Gigabit Ethernet, Windows 10 Pro 64bit, 4 cell, 2.3 кг, 12 мес. 20H500B5RT Ноутбук Lenovo ThinkPad E570 (20H500B5RT) 15.6', FullHD (1920 х 1080), Intel Core i5 7200U (2.5-3.1 ГГц), 8 ГБ, 1 ТБ, Intel HD Graphics 620, DVD±RW, Bluetooth, Wi-Fi, LAN (RJ-45), Windows 10 Pro, 2.3 кг, Black 12 мес. 20H500CSRT Ноутбук Lenovo ThinkPad E570 (20H500CSRT) 15.6', FullHD (1920 х 1080), Intel Core i5 7200U (2.5-3.1 ГГц), 16 ГБ, отсутствует, 256 ГБ, NVIDIA GeForce GT 940MX, 2 ГБ, DVD±RW, Bluetooth, Wi-Fi, LAN (RJ-45), DOS, 2.3 кг, Black 12 мес. 20H500CURT Ноутбук Lenovo ThinkPad E570 (20H500CURT) 15.6', FullHD (1920 х 1080), Intel Core i7-7500U (2.7-3.5GHz), 16 ГБ, 1 ТБ, 256 ГБ, NVIDIA GeForce GTX 950M, 2 ГБ, DVD±RW, Bluetooth, Wi-Fi, LAN (RJ-45), DOS, 2.3 кг, Black 12 мес. 20H5S00Y00 Ноутбук Lenovo ThinkPad E570 (20H5S00Y00) 15.6', FullHD (1920 х 1080), IPS, Intel Core i3 6006U (2.0 ГГц), 4 ГБ, 500 ГБ, Intel HD Graphics 520, DVD-SMulti, Bluetooth, Wi-Fi, Gigabit Ethernet, DOS, 4 cell, 2.3 кг, Black 12 мес. 20H90002RT Ноутбук Lenovo ThinkPad T570 (20H90002RT) 15.6', FullHD (1920 х 1080), IPS, Intel Core i5 7200U (2.5-3.1 ГГц), 8 ГБ, отсутствует, 256 ГБ, Intel HD Graphics 620, No ODD, Bluetooth, Wi-Fi, Gigabit Ethernet, Windows 10 Pro 64bit Russian, 3 cell, 2 12 мес. 20H9000LRT Ноутбук Lenovo ThinkPad T570 (20H9000LRT) 15.6', FullHD (1920 х 1080), IPS, Intel Core i7-7600U (2.80-3.90 GHz), 16 ГБ, отсутствует, 512 ГБ, Intel HD Graphics, No ODD, 3G, 4G LTE, Bluetooth, Wi-Fi, Gigabit Ethernet, Windows 10 Pro, 3 cell, 2.2 12 мес. 20H9004BRT Ноутбук Lenovo ThinkPad T570 (20H9004BRT) 15.6', FullHD (1920 х 1080), Intel Core i7-7500U (2.7-3.5GHz), 8 ГБ, отсутствует, 256 ГБ, Intel HD Graphics 620, No ODD, Bluetooth, Wi-Fi, LAN (RJ-45), Windows 10 Pro, 3 cell, 2.1 кг, Black 12 мес. 20H9005ART Ноутбук Lenovo ThinkPad T570 (20H9005ART) 15.6', FullHD (1920 х 1080), Intel Core i7-7500U (2.7-3.5GHz), 16 ГБ, отсутствует, 512 ГБ, Intel HD Graphics 620, No ODD, Bluetooth, Wi-Fi, LAN (RJ-45), Windows 10 Pro, 3 cell, 2.1 кг, Black 12 мес. 20H9S00L00 Ноутбук Lenovo ThinkPad T570 (20H9S00L00) 15.6', 4К (3840x2160), IPS, Intel Core i5 7200U (2.5-3.1 ГГц), 16 ГБ, отсутствует, 512 ГБ, NVIDIA GeForce GT 940MX, 2 ГБ, No ODD, Bluetooth, Wi-Fi, Gigabit Ethernet, DOS, 3 cell, 2.2 кг, Black 12 мес. 20HD000ERT Ноутбук Lenovo ThinkPad T470 (20HD000ERT) 14', FullHD (1920 х 1080), IPS, Intel Core i7-7500U (2.7-3.5GHz), 8 ГБ, отсутствует, 256 ГБ, Intel HD Graphics 620, No ODD, Bluetooth, Wi-Fi, Gigabit Ethernet, Windows 10 Pro, 3 cell, 1.65 кг, Black 12 мес. 20HD000NRT Ноутбук Lenovo ThinkPad T470 (20HD000NRT) 14', FullHD (1920 х 1080), IPS, Intel Core i7-7600U (2.80-3.90 GHz), 16 ГБ, отсутствует, 512 ГБ, Intel HD Graphics 620, No ODD, Bluetooth, Wi-Fi, Gigabit Ethernet, Windows 10 Pro 64bit, 3 cell, 1.65 кг, 12 мес. 20HD005NRT Ноутбук Lenovo ThinkPad T470 (20HD005NRT) 14', FullHD (1920 х 1080), Intel Core i7-7500U (2.7-3.5GHz), 16 ГБ, отсутствует, 512 ГБ, Intel HD Graphics 620, No ODD, Bluetooth, Wi-Fi, Gigabit Ethernet, Windows 10 Pro, 3 cell, 1.65 кг, Black 12 мес. 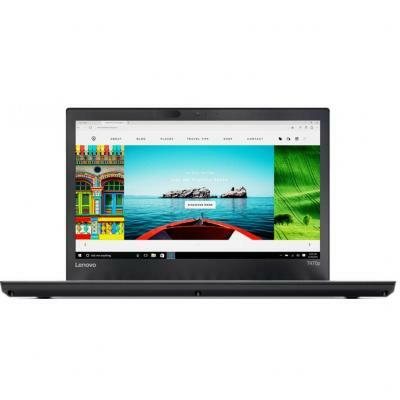 20HD0062RT Ноутбук Lenovo ThinkPad T470 (20HD0062RT) 14', FullHD (1920 х 1080), IPS, Intel Core i7-7500U (2.7-3.5GHz), 16 ГБ, отсутствует, 512 ГБ, Intel HD Graphics 620, No ODD, Bluetooth, Wi-Fi, LAN (RJ-45), Windows 10 Pro, 3 cell, 1.6 кг, Black 12 мес. 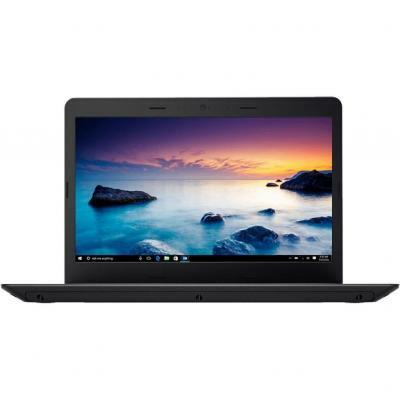 20HD006HRT Ноутбук Lenovo ThinkPad T470 (20HD006HRT) 14', FullHD (1920 х 1080), Intel Core i7-7500U (2.7-3.5GHz), 16 ГБ, отсутствует, 512 ГБ, Intel HD Graphics 620, No ODD, Bluetooth, Wi-Fi, Gigabit Ethernet, DOS, 3 cell, 1.65 кг, Black 12 мес. 20HDS00N00 Ноутбук Lenovo ThinkPad E470 (20HDS00N00) 14', FullHD (1920 х 1080), IPS, Intel Core i5 7200U (2.5-3.1 ГГц), 16 ГБ, отсутствует, 256 ГБ, Intel HD Graphics 620, No ODD, Bluetooth, Wi-Fi, Gigabit Ethernet, DOS, 3 cell, 1.65 кг, Black 12 мес. 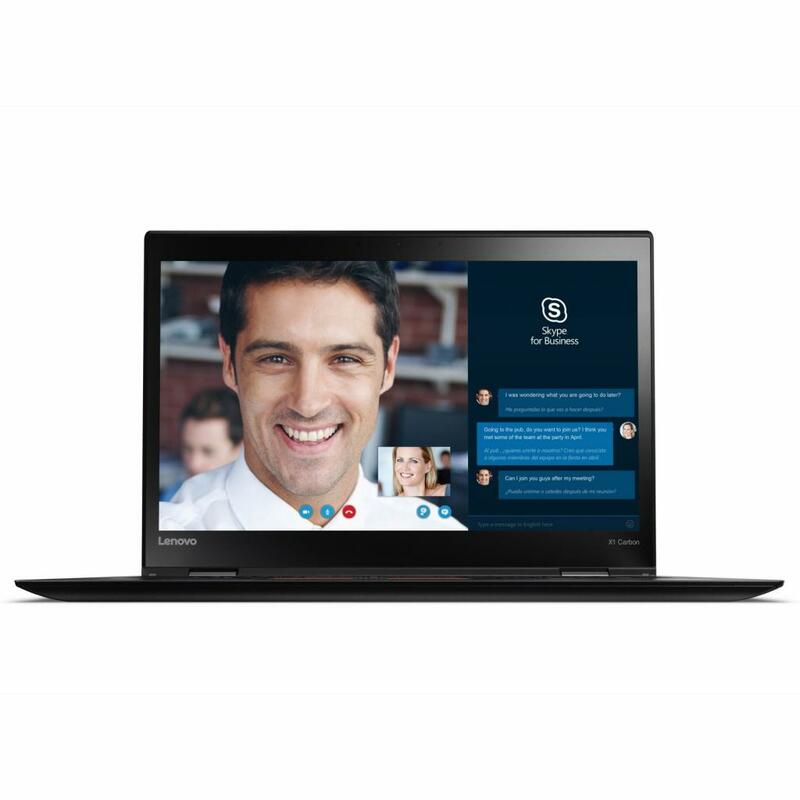 20HF0004RT Ноутбук Lenovo ThinkPad T470S (20HF0004RT) 14', FullHD (1920 х 1080), IPS, Intel Core i5 7200U (2.5-3.1 ГГц), 8 ГБ, отсутствует, 512 ГБ, Intel HD Graphics 620, No ODD, Bluetooth, Wi-Fi, LAN (RJ-45), Windows 10 Pro, 3 cell, 1.3 кг, Black 12 мес. 20HF000TRT Ноутбук Lenovo ThinkPad T470S (20HF000TRT) 14', FullHD (1920 х 1080), IPS, Intel Core i5-7300U (2.60Gz), 16 ГБ, отсутствует, 256 ГБ, Intel HD Graphics 620, No ODD, Bluetooth, Wi-Fi, Windows 10 Pro, 1.6 кг, Black 12 мес. 20HF000XRT Ноутбук Lenovo ThinkPad T470S (20HF000XRT) 14', WQHD (2560x1440), IPS, Intel Core i7-7600U (2.80-3.90 GHz), 16 ГБ, отсутствует, 1 ТБ, Intel HD Graphics, No ODD, 4G LTE, Bluetooth, Wi-Fi, Windows 10 Professional /64bit Rus, 3 cell, 1.32 кг, Blac 12 мес. 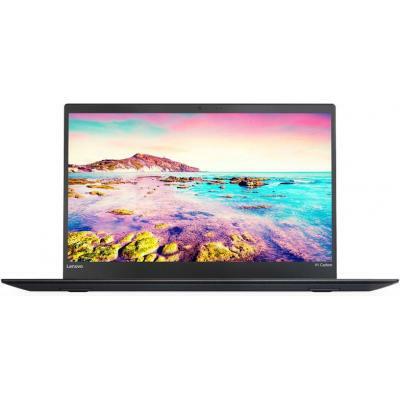 20HF001YRT Ноутбук Lenovo ThinkPad T470S (20HF001YRT) 14', FullHD (1920 х 1080), IPS, Intel Core i7-7600U (2.80-3.90 GHz), 8 ГБ, отсутствует, 512 ГБ, Intel HD Graphics 620, No ODD, Bluetooth, Wi-Fi, Windows 10 Pro, 1.6 кг, Black 12 мес. 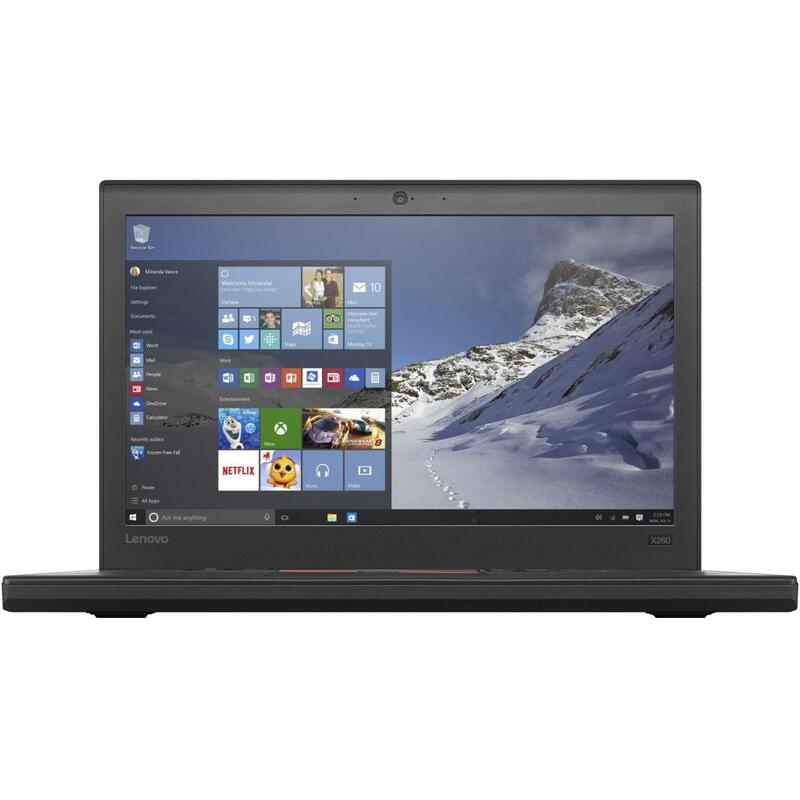 20HF0021RT Ноутбук Lenovo ThinkPad T470S (20HF0021RT) 14', FullHD (1920 х 1080), IPS, Intel Core i7-7600U (2.80-3.90 GHz), 8 ГБ, отсутствует, 256 ГБ, Intel HD Graphics 620, No ODD, Bluetooth, Wi-Fi, Windows 10 Pro 64bit, 3 cell, 1.3 кг, Black 12 мес. 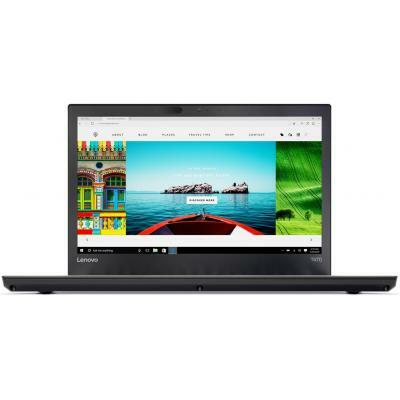 20HF0026RT Ноутбук Lenovo ThinkPad T470S (20HF0026RT) 14', FullHD (1920 х 1080), IPS, Intel Core i7-7600U (2.80-3.90 GHz), 16 ГБ, отсутствует, 512 ГБ, Intel HD Graphics 620, No ODD, 4G LTE, Bluetooth, Wi-Fi, Gigabit Ethernet, Windows 10 Pro, 6 cell, 1.3 к 12 мес. 20HF004MRT Ноутбук Lenovo ThinkPad T470S (20HF004MRT) 14', FullHD (1920 х 1080), IPS, Intel Core i7-7500U (2.7-3.5GHz), 16 ГБ, отсутствует, 512 ГБ, Intel HD Graphics 620, No ODD, 3G, 4G LTE, Bluetooth, Wi-Fi, Gigabit Ethernet, Windows 10 Pro, 3 cell, 1.3 12 мес. 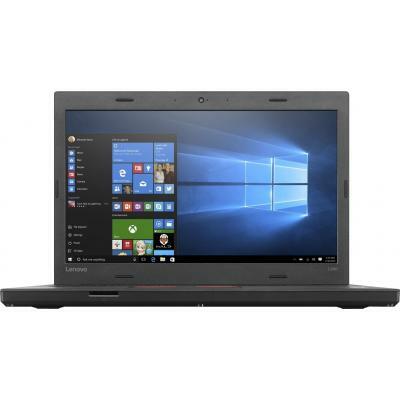 20HF004NRT Ноутбук Lenovo ThinkPad T470S (20HF004NRT) 14', FullHD (1920 х 1080), IPS, Intel Core i7-7500U (2.7-3.5GHz), 16 ГБ, отсутствует, 512 ГБ, Intel HD Graphics 620, No ODD, Bluetooth, Wi-Fi, LAN (RJ-45), Windows 10 Pro, 3 cell, 1.3 кг, Silver 12 мес. 20HF004RRT Ноутбук Lenovo ThinkPad T470S (20HF004RRT) 14', FullHD (1920 х 1080), IPS, Intel Core i7-7500U (2.7-3.5GHz), 16 ГБ, отсутствует, 1 ТБ, Intel HD Graphics 620, No ODD, Bluetooth, Wi-Fi, LAN (RJ-45), Windows 10 Pro, 3 cell, 1.3 кг, Black 12 мес. 20HF005CRT Ноутбук Lenovo ThinkPad T470S (20HF005CRT) 14', WQHD (2560x1440), IPS, Intel Core i7-7500U (2.7-3.5GHz), 24 ГБ, отсутствует, 512 ГБ, Intel HD Graphics 620, No ODD, NFC, Wi-Fi, Gigabit Ethernet, Windows 10 Pro, 3 cell, 1.3 кг, Black 12 мес. 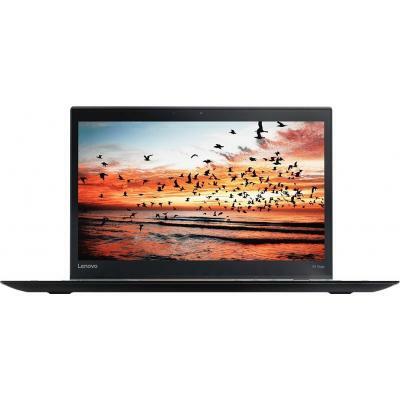 20HF0068RT Ноутбук Lenovo ThinkPad T470S (20HF0068RT) 14', WQHD (2560x1440), IPS, Intel Core i7-7500U (2.7-3.5GHz), 16 ГБ, отсутствует, 1 ТБ, Intel HD Graphics 620, No ODD, 3G, 4G LTE, Bluetooth, Wi-Fi, Gigabit Ethernet, Windows 10 Pro, 3 cell, 1.3 кг, Bl 12 мес. 20HF006JRT Ноутбук Lenovo ThinkPad T470S (20HF006JRT) 14', FullHD (1920 х 1080), IPS, Intel Core i5 7200U (2.5-3.1 ГГц), 12 ГБ, отсутствует, 256 ГБ, Intel HD Graphics 620, No ODD, Bluetooth, Wi-Fi, Gigabit Ethernet, DOS, 3 cell, 1.3 кг, Black 12 мес. 20HFS02000 Ноутбук Lenovo ThinkPad T470S (20HFS02000) 14', WQHD (2560x1440), IPS, Intel Core i5 7200U (2.5-3.1 ГГц), 16 ГБ, отсутствует, 512 ГБ, Intel HD Graphics 620, No ODD, Bluetooth, Wi-Fi, Gigabit Ethernet, DOS, 3 cell, 1.32 кг, Black 12 мес. 20HFS02100 Ноутбук Lenovo ThinkPad T470S (20HFS02100) 14', WQHD (2560x1440), IPS, Intel Core i7-7500U (2.7-3.5GHz), 24 ГБ, отсутствует, 512 ГБ, Intel HD Graphics 620, No ODD, Bluetooth, Wi-Fi, Gigabit Ethernet, DOS, 3 cell, 1.3 кг, Black 12 мес. 20HFS0C100 Ноутбук Lenovo ThinkPad T470S (20HFS0C100) 14', FullHD (1920 х 1080), IPS, Intel Core i5 7200U (2.5-3.1 ГГц), 8 ГБ, отсутствует, 256 ГБ, Intel HD Graphics 620, No ODD, Bluetooth, Wi-Fi, Gigabit Ethernet, DOS, 3 cell, 1.3 кг, Black 12 мес. 20HN002QRT Ноутбук Lenovo ThinkPad X270 (20HN002QRT) 12.5', FullHD (1920 х 1080), IPS, Intel Core i7-7600U (2.80-3.90 GHz), 16 ГБ, отсутствует, 512 ГБ, Intel HD Graphics 620, No ODD, 3G, Bluetooth, Wi-Fi, Windows 10 Pro, 3 cell, 1.3 кг, Black 12 мес. 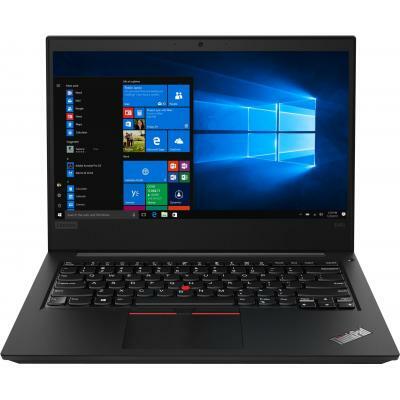 20HN005TRT Ноутбук Lenovo ThinkPad X270 (20HN005TRT) 12.5', FullHD (1920 х 1080), IPS, Intel Core i7-7500U (2.7-3.5GHz), 8 ГБ, отсутствует, 256 ГБ, Intel HD Graphics 620, No ODD, Bluetooth, Wi-Fi, LAN (RJ-45), DOS, 3 cell, 1.36 кг, Black 12 мес. 20HNS00Q00 Ноутбук Lenovo ThinkPad X270 (20HNS00Q00) 12.5', FullHD (1920 х 1080), IPS, Intel Core i5 7200U (2.5-3.1 ГГц), 8 ГБ, отсутствует, 256 ГБ, Intel HD Graphics 620, No ODD, 4G LTE, Bluetooth, Wi-Fi, Gigabit Ethernet, DOS, 3 cell, 1.36 кг, Black 12 мес. 20HNS00R00 Ноутбук Lenovo ThinkPad X270 (20HNS00R00) 12.5', FullHD (1920 х 1080), IPS, Intel Core i7-7500U (2.7-3.5GHz), 8 ГБ, отсутствует, 256 ГБ, Intel HD Graphics 620, No ODD, Bluetooth, Wi-Fi, Gigabit Ethernet, DOS, 3 cell, 1.36 кг, Black 12 мес. 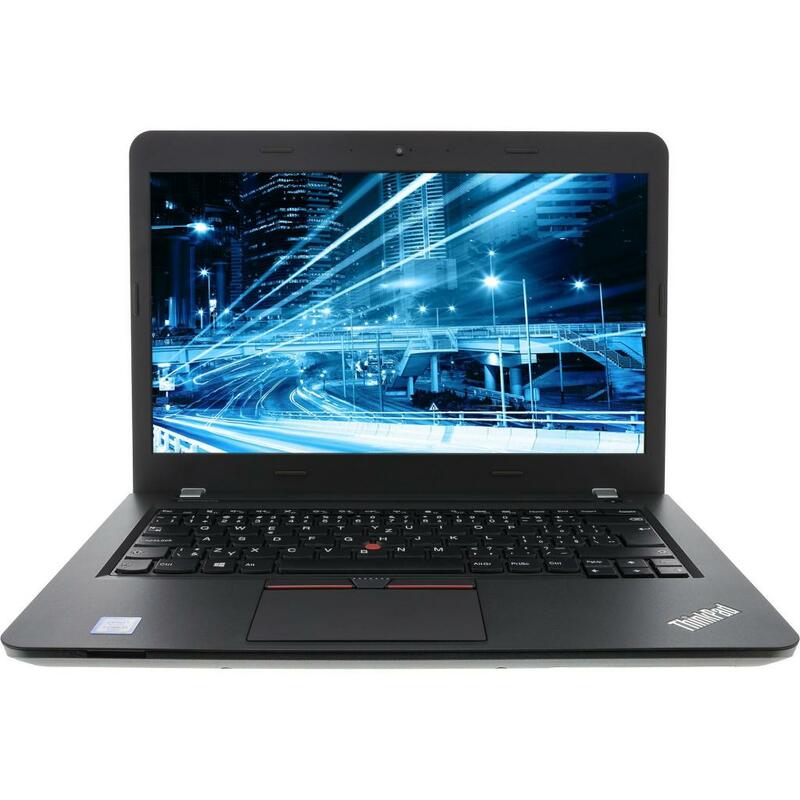 20HR0067RT Ноутбук Lenovo ThinkPad X1 Carbon 5 (20HR0067RT) 14', WQHD (2560x1440), IPS, Intel Core i7-7500U (2.7-3.5GHz), 16 ГБ, отсутствует, 1 ТБ, Intel HD Graphics 620, No ODD, Bluetooth, Wi-Fi, LAN (RJ-45), Windows 10 Pro, 1.1 кг, Black 12 мес. 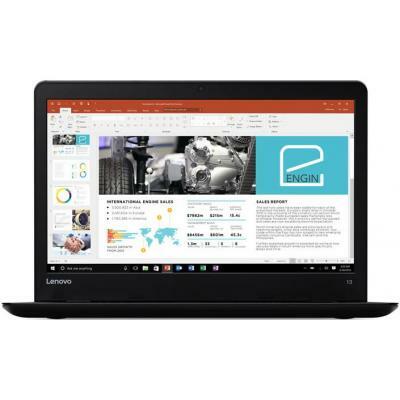 20HR0069RT Ноутбук Lenovo ThinkPad X1 Carbon 5 (20HR0069RT) 14', WQHD (2560x1440), IPS, Intel Core i7-7500U (2.7-3.5GHz), 16 ГБ, отсутствует, 512 ГБ, Intel HD Graphics 620, No ODD, Bluetooth, Wi-Fi, LAN (RJ-45), Windows 10 Pro, 1.1 кг, Black 12 мес. 20HR006BRT Ноутбук Lenovo ThinkPad X1 Carbon 5 (20HR006BRT) 14', WQHD (2560x1440), IPS, Intel Core i7-7500U (2.7-3.5GHz), 16 ГБ, отсутствует, 256 ГБ, Intel HD Graphics 620, No ODD, Bluetooth, Wi-Fi, LAN (RJ-45), Windows 10 Pro, 1.1 кг, Black 12 мес. 20J10021RT Ноутбук Lenovo ThinkPad 13 (20J10021RT) 13.3', FullHD (1920 х 1080), Intel Core i3 7100U (2.4 ГГц), 4 ГБ, отсутствует, 180 ГБ, Intel HD Graphics 620, No ODD, Bluetooth, Wi-Fi, Windows 10 Pro, 3 cell, 1.44 кг, Black 12 мес. 20J1005ERT Ноутбук Lenovo ThinkPad 13 (20J1005ERT) 13.3', HD (1366 х 768), Intel Core i5 7200U (2.5-3.1 ГГц), 8 ГБ, отсутствует, 256 ГБ, Intel HD Graphics 620, No ODD, Bluetooth, Wi-Fi, DOS, 3 cell, 1.44 кг, Silver 12 мес. 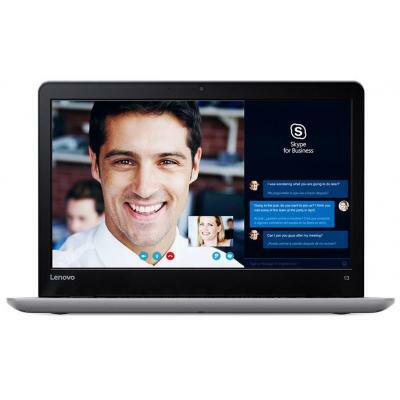 20J1S01C00 Ноутбук Lenovo ThinkPad 13 (20J1S01C00) 13.3', FullHD (1920 х 1080), IPS, Intel Core i3 7100U (2.4 ГГц), 4 ГБ, отсутствует, 128 ГБ, Intel HD Graphics 620, No ODD, Bluetooth, Wi-Fi, DOS, 3 cell, 1.44 кг, Black 12 мес. 20J1S02E00 Ноутбук Lenovo ThinkPad 13 (20J1S02E00) 13.3', FullHD (1920 х 1080), IPS, Intel Core i7-7500U (2.7-3.5GHz), 16 ГБ, отсутствует, 512 ГБ, Intel HD Graphics 620, No ODD, Bluetooth, Wi-Fi, DOS, 3 cell, 1.44 кг, Black 12 мес. 20J60015RT Ноутбук Lenovo ThinkPad T470P (20J60015RT) 14', WQHD (2560x1440), IPS, Intel Core i7-7700HQ (2.8 - 3.8 ГГц), 16 ГБ, отсутствует, 512 ГБ, Intel HD Graphics 620, No ODD, Bluetooth, Wi-Fi, LAN (RJ-45), Windows 10 Pro, 6 cell, 1.96 кг, Black 12 мес. 20J60018RT Ноутбук Lenovo ThinkPad T470P (20J60018RT) 14', FullHD (1920 х 1080), IPS, Intel Core i7-7700HQ (2.8 - 3.8 ГГц), 8 ГБ, отсутствует, 256 ГБ, NVIDIA GeForce GT 940MX, 2 ГБ, No ODD, Bluetooth, Wi-Fi, Gigabit Ethernet, Windows 10 Pro 64bit, 6 cell, 12 мес. 20J6001ART Ноутбук Lenovo ThinkPad T470p (20J6001ART) 14', FullHD (1920 х 1080), IPS, Intel Core i5-7300HQ (2.5-3.5GHz), 8 ГБ, отсутствует, 256 ГБ, Intel HD Graphics 630, No ODD, 3G, Bluetooth, Wi-Fi, Windows 10 Pro 64bit, 3 cell, 1.7 кг, Black 12 мес. 20J6001KRT Ноутбук Lenovo ThinkPad T470P (20J6001KRT) 14', WQHD (2560x1440), IPS, Intel Core i7-7700HQ (2.8 - 3.8 ГГц), 16 ГБ, отсутствует, 512 ГБ, NVIDIA GeForce GT 940MX, 2 ГБ, No ODD, Bluetooth, Wi-Fi, LAN (RJ-45), Windows 10 Pro 64bit, 6 cell, 1.96 кг 12 мес. 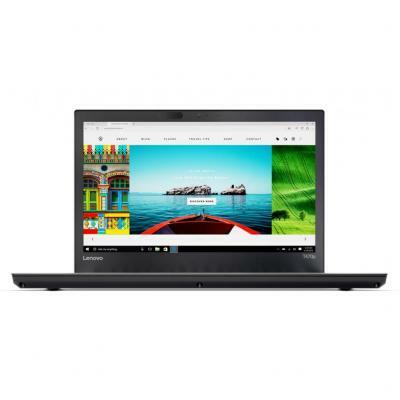 20J6001LRT Ноутбук Lenovo ThinkPad T470P (20J6001LRT) 14', FullHD (1920 х 1080), IPS, Intel Core i5-7440HQ(2.80-3.80 GHz), 8 ГБ, отсутствует, 256 ГБ, NVIDIA GeForce GT 940MX, 2 ГБ, No ODD, Bluetooth, Wi-Fi, LAN (RJ-45), Windows 10 Pro 64bit, 6 cell, 2.0 к 12 мес. 20J60042RT Ноутбук Lenovo ThinkPad T470P (20J60042RT) 14', WQHD (2560x1440), IPS, Intel Core i7-7700HQ (2.8 - 3.8 ГГц), 16 ГБ, отсутствует, 1 ТБ, NVIDIA GeForce GT 940MX, 2 ГБ, No ODD, Bluetooth, Wi-Fi, LAN (RJ-45), Windows 10 Pro, 6 cell, 1.9 кг, Black 12 мес. 20J60043RT Ноутбук Lenovo ThinkPad T470P (20J60043RT) 14', FullHD (1920 х 1080), IPS, Intel Core i5-7300U (2.60Gz), 8 ГБ, отсутствует, 256 ГБ, NVIDIA GeForce GT 940MX, 2 ГБ, No ODD, Bluetooth, Wi-Fi, Gigabit Ethernet, DOS, 6 cell, 2.0 кг, Black 12 мес. 20J60045RT Ноутбук Lenovo ThinkPad T470P (20J60045RT) 14', FullHD (1920 х 1080), IPS, Intel Core i5-7300U (2.60Gz), 8 ГБ, отсутствует, 256 ГБ, NVIDIA GeForce GT 940MX, 2 ГБ, No ODD, Bluetooth, Wi-Fi, Gigabit Ethernet, Windows 10 Pro 64bit, 6 cell, 2.0 кг, 12 мес. 20J6S04V00 Ноутбук Lenovo ThinkPad T470P (20J6S04V00) 14', WQHD (2560x1440), IPS, Intel Core i7-7700HQ (2.8 - 3.8 ГГц), 16 ГБ, отсутствует, 512 ГБ, NVIDIA GeForce GT 940MX, 2 ГБ, No ODD, Bluetooth, LAN (RJ-45), DOS, 6 cell, 1.96 кг, Black 12 мес. 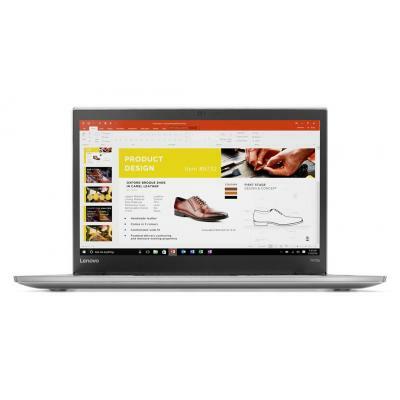 20JD0051RT Ноутбук Lenovo ThinkPad Yoga X1 (20JD0051RT) 14', WQHD (2560x1440), Intel Core i7-7500U (2.7-3.5GHz), 16 ГБ, отсутствует, 512 ГБ, Intel HD Graphics 620, No ODD, 3G, 4G LTE, Bluetooth, Wi-Fi, Windows 10 Pro, 4 cell, 1.3 кг, Black 12 мес. 20JD005DRK Ноутбук Lenovo ThinkPad X1 Yoga 14. (20JD005DRK) 14', WQHD (2560x1440), IPS, Intel Core i7-7500U (2.7-3.5GHz), 8 ГБ, отсутствует, 512 ГБ, Intel HD Graphics 620, No ODD, Bluetooth, Wi-Fi, LAN (RJ-45), Windows 10, 4 cell, 1.36 кг, Black 12 мес. 20JH002URT Ноутбук Lenovo ThinkPad Yoga 370 (20JH002URT) 13.3', FullHD (1920 х 1080), IPS, Intel Core i5 7200U (2.5-3.1 ГГц), 8 ГБ, отсутствует, 512 ГБ, Intel HD Graphics 620, No ODD, Bluetooth, Wi-Fi, Windows 10 Pro, 1.36 кг, Black 12 мес. 20KF001HRT Ноутбук Lenovo ThinkPad X280 (20KF001HRT) 12.5', FullHD (1920 х 1080), IPS, Intel Core i7 8550U (1.8 - 4.0 ГГц), 16 ГБ, отсутствует, 512 ГБ, Intel UHD Graphics 620, No ODD, Bluetooth, Wi-Fi, Windows 10 Pro 64bit, 6 cell, 1.3 кг, Black 12 мес. 20KF0053RT Ноутбук Lenovo ThinkPad X280 (20KF0053RT) 12.5', FullHD (1920 х 1080), IPS, Intel Core i5 8250U (1.6 - 3.4 ГГц), 8 ГБ, отсутствует, 256 ГБ, Intel UHD Graphics 620, No ODD, Bluetooth, Wi-Fi, Gigabit Ethernet, Windows 10 Pro 64bit, 6 cell, 1.3 кг 12 мес. 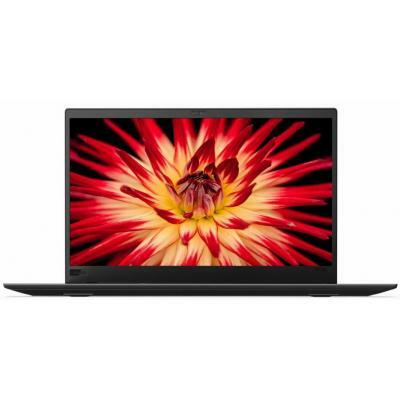 20KG004JRT Ноутбук Lenovo ThinkPad X1 Carbon 6 (20KG004JRT) 14', FullHD (1920 х 1080), IPS, Intel Core i5 8350U (до 3.6 ГГц), 16 ГБ, отсутствует, 512 ГБ, Intel UHD Graphics 620, No ODD, 4G LTE, Bluetooth, Wi-Fi, Windows 10 Pro 64bit, 3 cell, 1.1 кг, Black 12 мес. 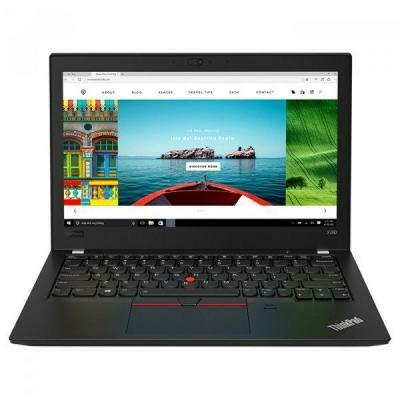 20KH0035RT Ноутбук Lenovo ThinkPad X1 Carbon 6 (20KH0035RT) 14', FullHD (1920 х 1080), IPS, Intel Core i5 8250U (1.6 - 3.4 ГГц), 8 ГБ, отсутствует, 256 ГБ, Intel UHD Graphics 620, No ODD, Bluetooth, Wi-Fi, Windows 10 Pro, 3 cell, 1.1 кг, Black 12 мес. 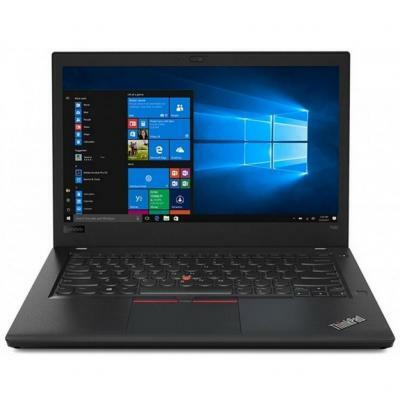 20KH003BRT Ноутбук Lenovo ThinkPad X1 Carbon 6 (20KH003BRT) 14', FullHD (1920 х 1080), IPS, Intel Core i7 8550U (1.8 - 4.0 ГГц), 8 ГБ, отсутствует, 256 ГБ, Intel UHD Graphics 620, No ODD, Bluetooth, Wi-Fi, Windows 10 Pro, 3 cell, 1.1 кг, Black 12 мес. 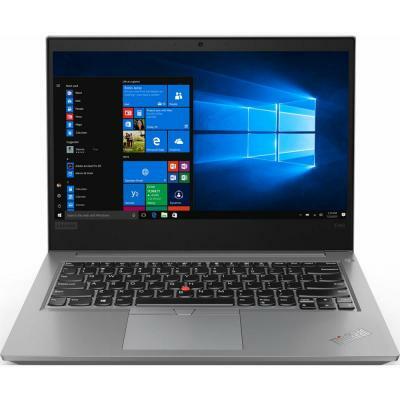 20KH006HRT Ноутбук Lenovo ThinkPad X1 Carbon 6 (20KH006HRT) 14', FullHD (1920 х 1080), IPS, Intel Core i7 8550U (1.8 - 4.0 ГГц), 16 ГБ, отсутствует, 256 ГБ, Intel UHD Graphics 620, No ODD, 4G LTE, Bluetooth, Wi-Fi, Windows 10 Pro 64bit, 3 cell, 1.1 кг, Bl 12 мес. 20KH006MRT Ноутбук Lenovo ThinkPad X1 Carbon 6 (20KH006MRT) 14', WQHD (2560x1440), IPS, Intel Core i7 8550U (1.8 - 4.0 ГГц), 16 ГБ, отсутствует, 1 ТБ, Intel UHD Graphics 620, No ODD, 4G LTE, Bluetooth, Wi-Fi, Windows 10 Pro 64bit, 3 cell, 1.1 кг, Black 12 мес. 20KH007ART Ноутбук Lenovo ThinkPad X1 Carbon 6 (20KH007ART) 14', WQHD (2560x1440), IPS, Intel Core i7 8550U (1.8 - 4.0 ГГц), 16 ГБ, отсутствует, 512 ГБ, Intel UHD Graphics 620, No ODD, 4G LTE, Bluetooth, Wi-Fi, Windows 10 Pro, 3 cell, 1.1 кг, Black 12 мес. 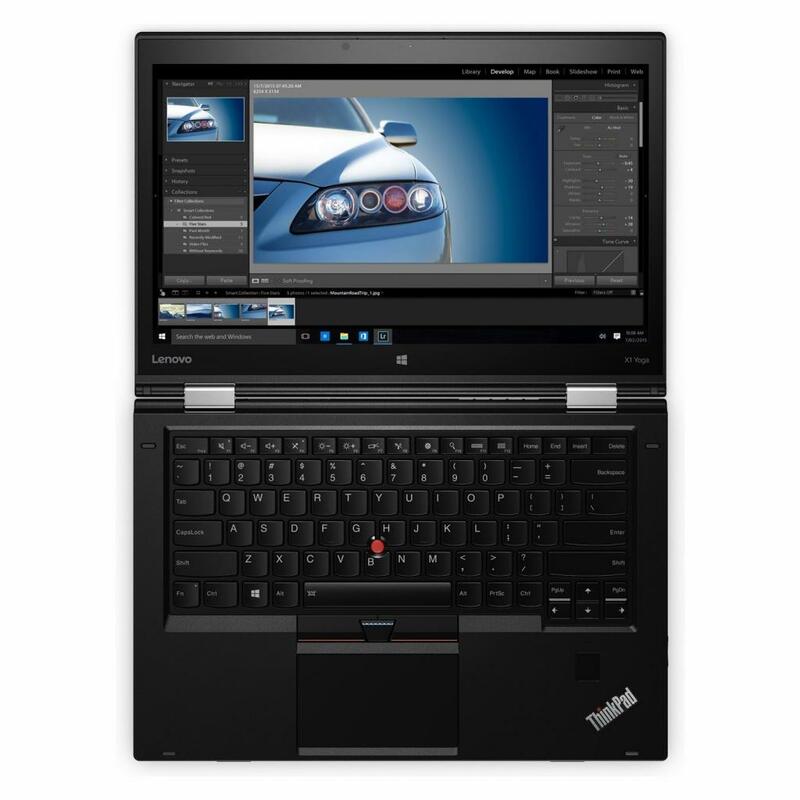 20KN001NRT Ноутбук Lenovo ThinkPad E480 (20KN001NRT) 14', FullHD (1920 х 1080), IPS, Intel Core i7 8550U (1.8 - 4.0 ГГц), 8 ГБ, отсутствует, 256 ГБ, AMD Radeon RX550, 2 ГБ, No ODD, Bluetooth, Wi-Fi, LAN (RJ-45), Windows 10 Pro, 3 cell, 1.75 кг, Black 12 мес. 20KN004URT Ноутбук Lenovo ThinkPad E480 (20KN004URT) 14', FullHD (1920 х 1080), IPS, Intel Core i5 8250U (1.6 - 3.4 ГГц), 4 ГБ, 500 ГБ, Intel UHD Graphics 620, No ODD, Bluetooth, Wi-Fi, Gigabit Ethernet, без операционной системы, 3 cell, 1.75 кг, Black 12 мес. 20KN004VRT Ноутбук Lenovo ThinkPad E480 (20KN004VRT) 14', FullHD (1920 х 1080), IPS, Intel Core i7 8550U (1.8 - 4.0 ГГц), 16 ГБ, 1 ТБ, 256 ГБ, AMD Radeon RX550, 2 ГБ, No ODD, Bluetooth, Wi-Fi, LAN (RJ-45), DOS, 3 cell, 1.75 кг, Silver 12 мес. 20KN005CRT Ноутбук Lenovo ThinkPad E480 (20KN005CRT) 14', FullHD (1920 х 1080), IPS, Intel Core i5 8250U (1.6 - 3.4 ГГц), 8 ГБ, 1 ТБ, Intel UHD Graphics 620, No ODD, Bluetooth, Wi-Fi, Gigabit Ethernet, без операционной системы, 3 cell, 1.75 кг, Black 12 мес. 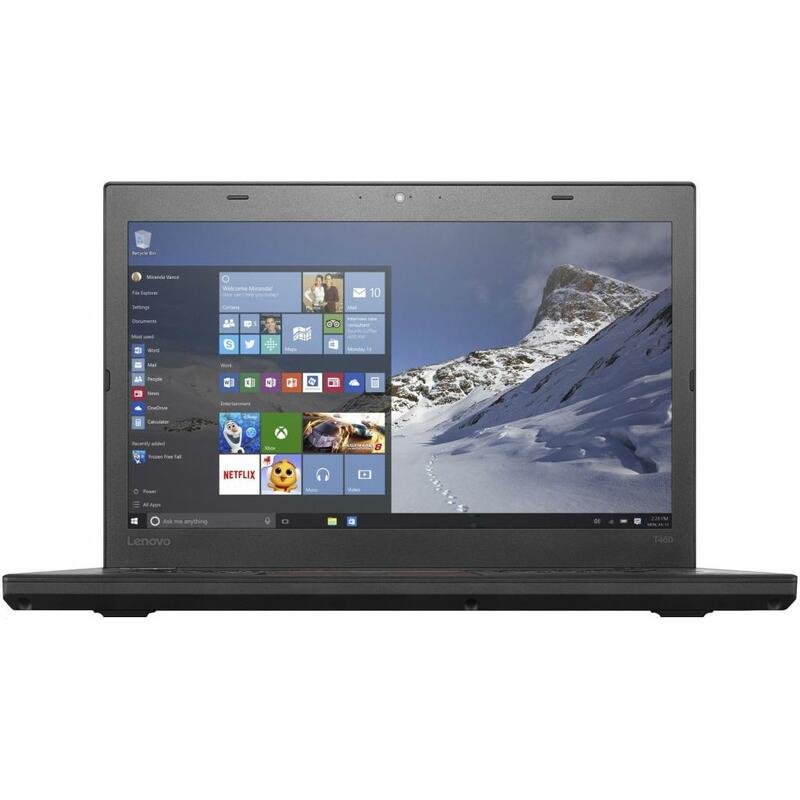 20KS004GRT Ноутбук Lenovo ThinkPad E580 (20KS004GRT) 15.6', FullHD (1920 х 1080), IPS, Intel Core i5 8250U (1.6 - 3.4 ГГц), 8 ГБ, 1 ТБ, Intel UHD Graphics 620, No ODD, Bluetooth, Wi-Fi, LAN (RJ-45), Windows 10 Pro, 2.1 кг, Black 12 мес. 20KS005ART Ноутбук Lenovo ThinkPad E580 (20KS005ART) 15.6', FullHD (1920 х 1080), IPS, Intel Core i7 8550U (1.8 - 4.0 ГГц), 16 ГБ, 1 ТБ, 256 ГБ, AMD Radeon RX550, 2 ГБ, н.д., Bluetooth, Wi-Fi, LAN (RJ-45), без операционной системы, 3 cell, 2.1 кг, Black 12 мес. 20KS005KRT Ноутбук Lenovo ThinkPad E580 (20KS005KRT) 15.6', FullHD (1920 х 1080), IPS, Intel Core i5 8250U (1.6 - 3.4 ГГц), 4 ГБ, 500 ГБ, Intel UHD Graphics 620, No ODD, Bluetooth, Wi-Fi, LAN (RJ-45), без операционной системы, 3 cell, 2.1 кг, Black 12 мес. 20L5000BRT Ноутбук Lenovo ThinkPad T480 (20L5000BRT) 14', WQHD (2560x1440), IPS, Intel Core i7 8550U (1.8 - 4.0 ГГц), 16 ГБ, отсутствует, 512 ГБ, NVIDIA GeForce MX150, 2 ГБ, No ODD, Bluetooth, Wi-Fi, LAN (RJ-45), Windows 10 Pro 64bit, 6 cell, 1.67 кг, Bla 12 мес. Lenovo (Леново) — китайская компьютерная компания, четвёртый в мире производитель компьютеров (после HP, Dell и Acer) и самый крупный в Китае. Зарегистрирована в Гонконге, штаб-квартира в городе Перчейз, штат Нью-Йорк (США). В продуктовой линейке Lenovo бренд Think (в прошлом бренд IBM) предназначен для коммерческого сегмента. ThinkPad был применен НАСА в программе запуска кораблей многоразового использования, модели данной серии были первыми среди остальных компаний, которые предложили интегрированные устройства CD и DVD, технологию беспроводной передачи данных, дисководы для жестких дисков, систему активной защиты, а также устройство считывания отпечатков пальцев. Вот уже много лет дизайнеры ThinkPad предлагают уникальные технологии, такие как клавиатурная мышь TrackPoint, клавиатура TrackWrite и подсветка клавиатуры ThinkLight. Благодаря ноутбукам серии IdeaPad, клиенты имеют возможность самовыражения посредствам выбора цветовой гаммы, включающей оранжевый, голубой, черный и красный цвета. В состав технологий входит система распознавания лица VeriFace, система востановления данных OneKey Rescue System и HDMI для соединения с миром цифровых технологий. Компания Lenovo была основана в результате приобретения компанией Lenovo Group подразделения персональных компьютеров IBM в 2005 году. Имеет свои подразделения в 60-ти странах, и продает свою продукцию в 160 странах. Общая численность сотрудников во всем мире около 20 тысяч человек, с учетом 1700 дизайнеров, ученных и инженеров. Лидер инновационных технологий заработали более 100 наград за дизайн: 6 наград IDEA, 20 наград IF "За превосходный дизайн", 82 награды G-Mark в Японии, 13 наград Red Dot, первый приз в категории "Дизайн десятиления" от IDSA за дизайн компьютеров серии ThinkPad, компьютеры серии ThinkPad 701С являются постоянным экспонатом Музея Современного Искусства (Нью-Йорк), 8 наград в категории "Лучшая компания" на CES 2010 года. © Интернет магазин «Ноутбуки в Одессе». Продажа ноутбуков lenovo в Одессе. Широкий выбор, низкие цены, гарантия, доставка.